Prior to the construction of the Mesa Arizona Temple of The Church of Jesus Christ of Latter-day Saints (LDS Church), church members wishing to marry in a temple were required to make the grueling journey on the “Honeymoon Trail.” The trail was named “Honeymoon” because, after marrying civily in Mesa, the couple then spent their honeymoon traversing old wagon trails across northern Arizona, crossing the Colorado River at Lee’s Ferry, and north though the "Arizona strip," or they traveled via railroad to California, and then north, to St. George, Utah, the site of the nearest temple, to be “sealed” together in a temple ordinance. LDS Church members believe that in the temple they are married for not just until death, but for all eternity. 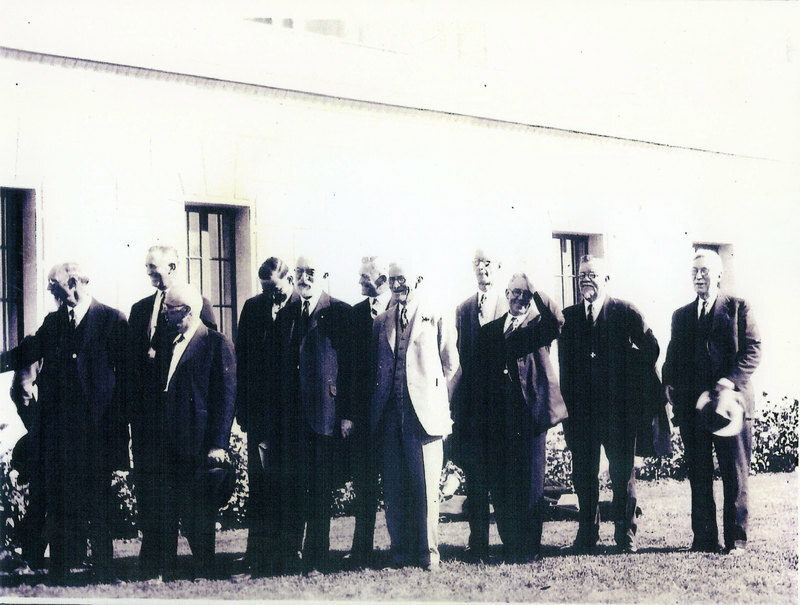 Because of the distance and great effort required to reach the temple, especially in Mesa’s earliest days, prior to the advent of automobiles and graded roads, church leaders in Mesa began almost immediately to petition Church leadership in Salt Lake City to construct a temple in Mesa. Finally in 1920, church president Heber J. Grant announced the construction of a temple in Mesa. 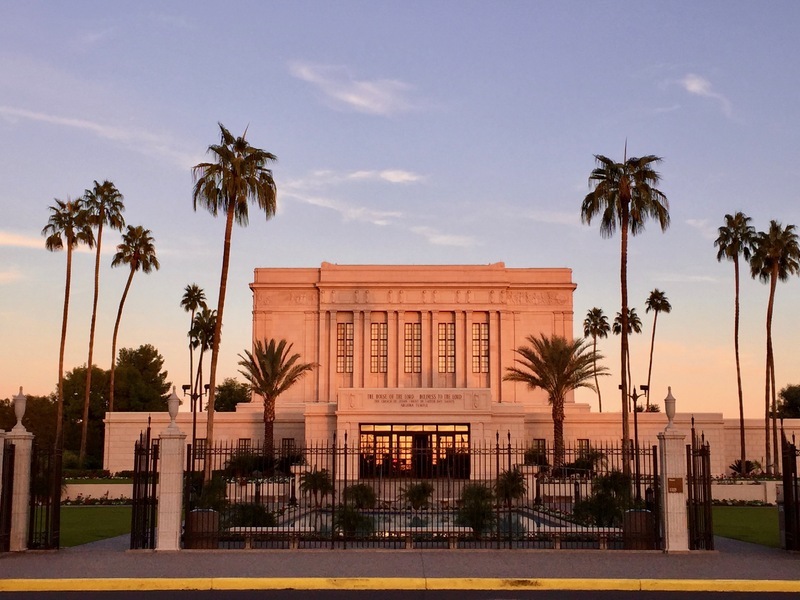 The Mesa temple was the church’s ninth temple, and Arizona’s first (it has since been joined by temples in Snowflake, the Gila Valley, Gilbert, Phoenix, and Tucson). 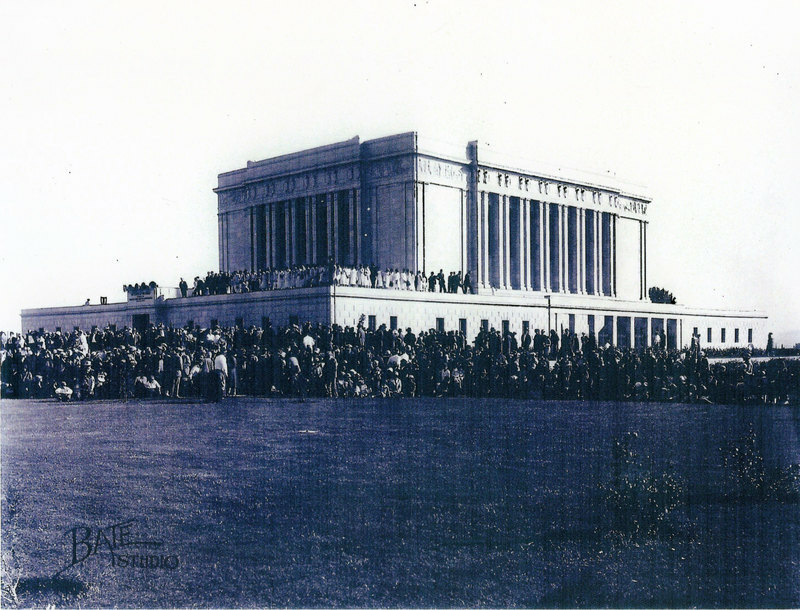 The temple was completed in 1927 at a cost of $800,000. 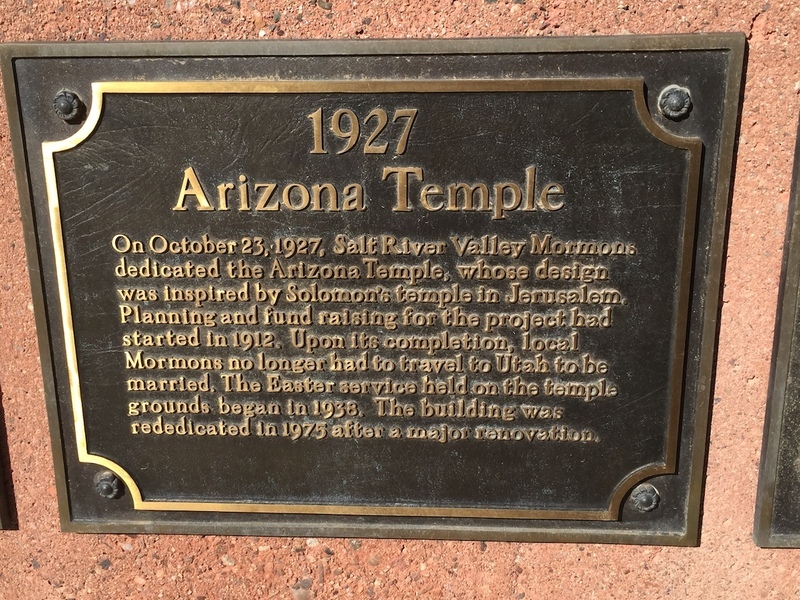 After significant expansion and remodeling, the temple was rededicated in 1975 by then-president, and Arizona native, Spencer W. Kimball. 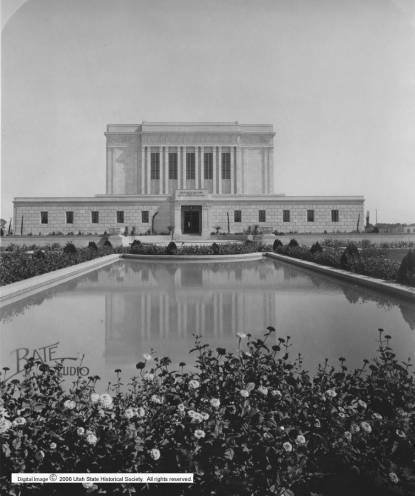 The temple’s design in meant to reflect the Temple of Herod, as well as ancient religious structures found on the American continent. The temple is only one of three built by the Church that does not have a spire topped by an angel. 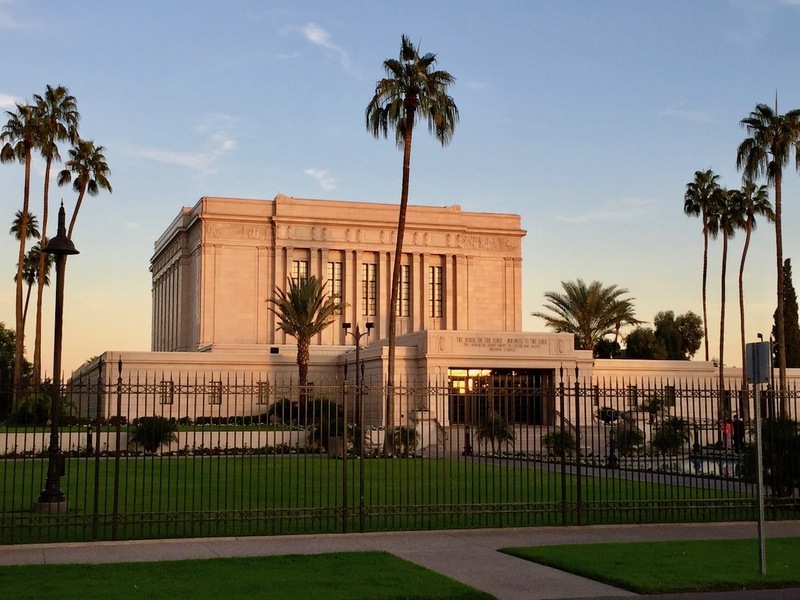 Reflecting the pioneer heritage of the LDS community in Mesa, the eight friezes on the corners of the temple’s roof depict various peoples gathering of Israel, or into the Lord’s Church—from natives of the British Isles, and other various European nations, to the Native Americans and Pacific Islanders. For more detailed information, see the entry "Mesa Arizona Temple Friezes." 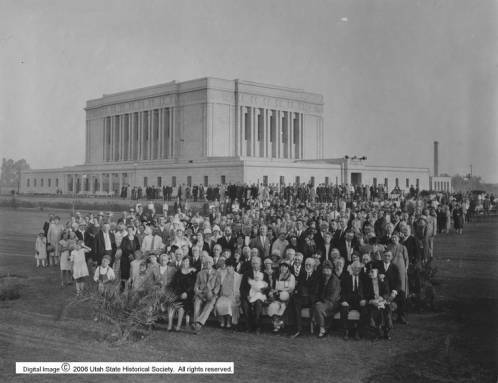 Mesa Temple p.2: The Mesa Arizona LDS Temple was dedicated in 1927. Front view of the temple at its dedication. 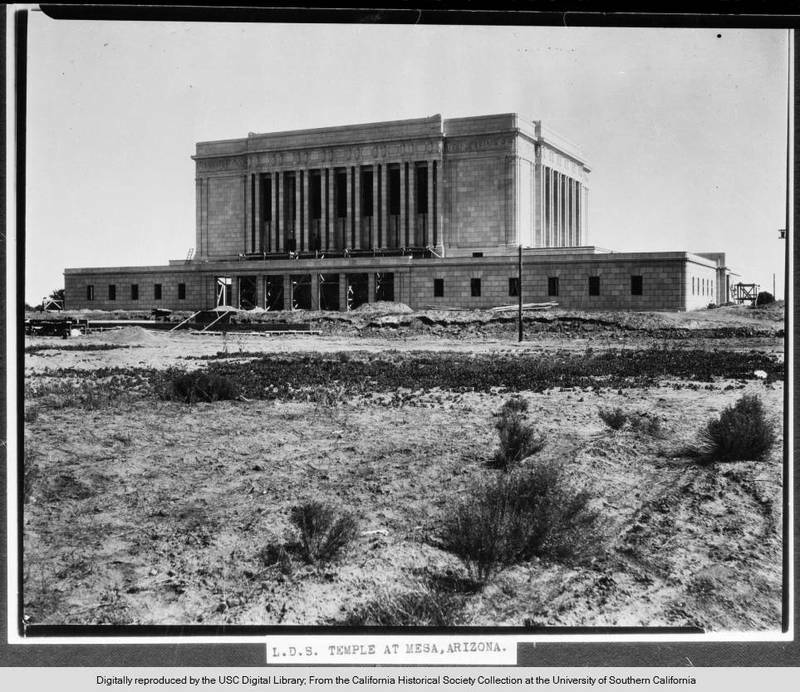 ~ Source: Utah State Historical Society; Widtsoe Family Collection, http://content.lib.utah.edu/cdm/ref/collection/USHS_Class/id/5526 ~ Date: n.d.
101 S Lesueur, Mesa, AZ 85204 ~ The temple itself is open only to Latter-day Saints holding a temple "recommend." Visitors are encouraged to visit the visitor center. 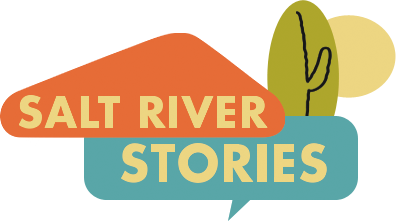 Stephen G. Williams and Carson Junior High School, “Mesa Arizona Temple,” Salt River Stories, accessed April 18, 2019, https://saltriverstories.org/items/show/122. W. Bradford Perkinson, comp., The Ninth Temple: A Light in the Desert: Mesa, Arizona, 1927-2002: Seventy-Five Years (Orem, UT: Granite Publishing & Distribution, 2002).